Years ago, I had every conceivable type of clothes peg in my occupational therapy practise. We made Lion King ones, Nemos, and of course, Disney Princesses for the girls. We picked up jelly tots and every other imaginable item. We were working on the-three-friends®. 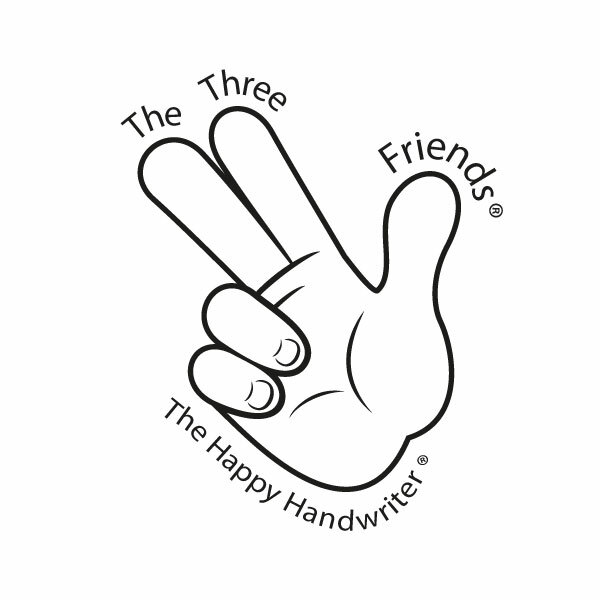 For those of you who don’t know, the-three-friends – the thumb, index and middle fingers – are my best friends when it comes to handwriting. You could even call them my bff’s – my best friends forever. These are the fingers that hold and manipulate the pencil. I continue to be alarmed by how children struggle to use them co-operatively together in activities – be it paper tearing, scrunching paper or rolling modelling clay balls. 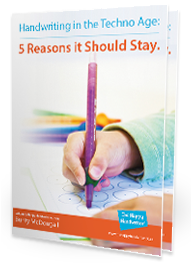 It is clear from this that our children need finger strengthening exercises to limit difficulties manipulating their pencils, and developing good pencil control. So, determined to give them a good work out, I turned to the humble clothes peg. And the clothes peg did develop the bundle of muscles at the base of the thumb – I could see them developing and I could see the children’s strength improve. They were great exercises for handwriting improvement. But there was one down-side. And that was the hyper-extended or “over straightened thumb.” It bends backwards like a banana, rather then assuming the bent position. For those children who hold their pencil with this grasp, clothes pegs were not a good thing at all. 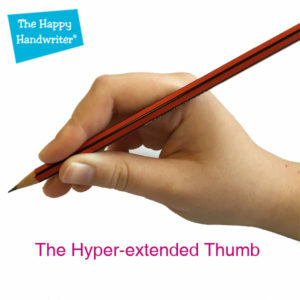 The pencil grasp with the hyper-extended thumb is an inefficient grasp because it blocks off the discrete refined finger movements so necessary for speed and quality of pencil control. 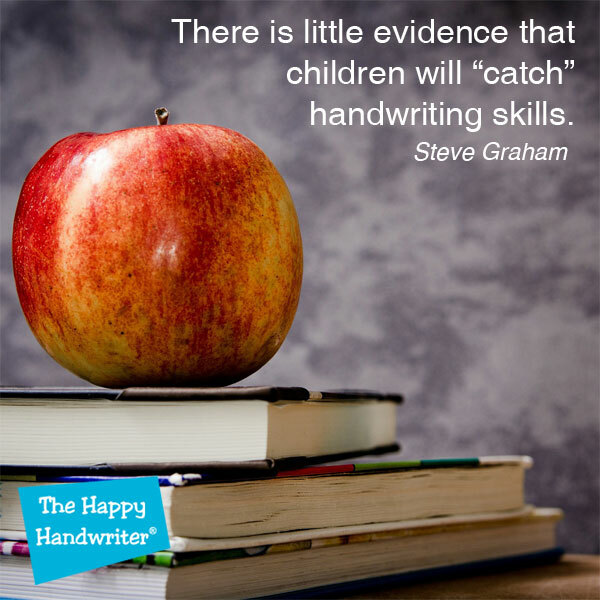 When using that grasp, children have no option but to initiate movement for handwriting from their wrists. On a bio-mechanical level, they are simply unable to move their fingers if their thumb is locked into this position. When children present with this grasp, we do everything we can to encourage re-positioning of the thumb into the bent (or flexed) position. We give the children various pencil grips which assist with modifying the pattern and I encourage various activities which require the thumb to bend. Enter the clothes peg. The degree of tension of the peg, the very thing that strengthens the muscles, has the unfortunate consequence of forcing the thumb into hyper-extension. And so, we are benefiting in one way but we are also reinforcing the position we are trying so hard to remediate, leaving us with no option but to find an alternative. I prefer to use an activity that is promoting the position and movement pattern I am aiming for. Hello Jumbo Tweezers with their indentations to guide finger placement. They have the correct tension to develop the muscles, and there is less of a tendency for the child to assume the hyper-extended thumb position. If they do, a simple: “hold with the tip of your thumb,” immediately places the thumb into the correct position. Somehow this re-positioning is not so easily achieved with our friend the clothes peg. So, I have now removed the clothes peg from my arsenal. It was a sad farewell after all those years. But, now that I have had this moment of insight about the clothes peg, it is time to say goodbye. The-three-friends remain my bff’s and the various Jumbo Tweezer activities are my new best friends as finger strengthening exercises. They are my “go to” activities to strengthen fine motor skills, in particular, the-three-friends. I have yet to hear of a child who has not been enthralled by the amazing Fruit Avalanche game. Therapists tell me how their children beg to have a turn with the game. And when we have children begging to play the very game that is going to develop their three-friends and fine motor skills, I am most certainly not going to be the person to refuse! Add to this our Jumbo Tweezer Dino and Sea packs and your children are going to get the equivalent of a good work out at the gym for their fingers. And all this, with the correct finger position. I love the Learning Resources Jumbo Tweezers and now that I have found them, I really don’t miss my old friend the clothes peg any more!